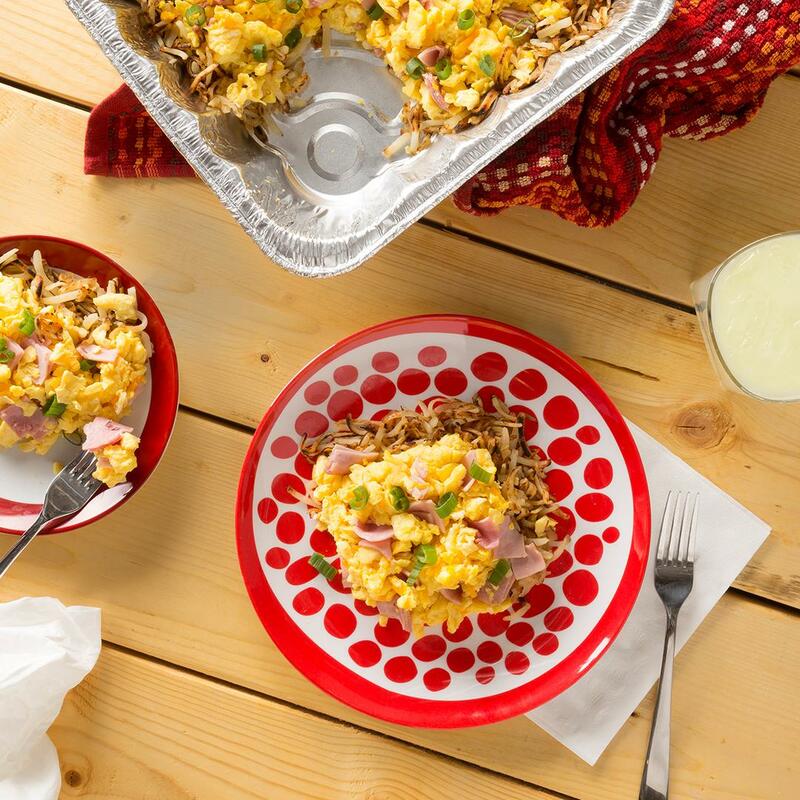 Give the family a reason to seize the day early with our Gwaltney grilled breakfast scramble. Spray a foil BBQ-safe pan with cooking spray, add in the thawed hash browns and ham. Add eggs to a large bowl with milk and whisk until combined. Stir in the cheese and green onions and pour over the hash browns and ham. Cover with foil and cook on the grill (on indirect heat) at 375 degrees for 30 minutes. Uncover the pan and cook for an additional 15-35 minutes, until edges are crispy.